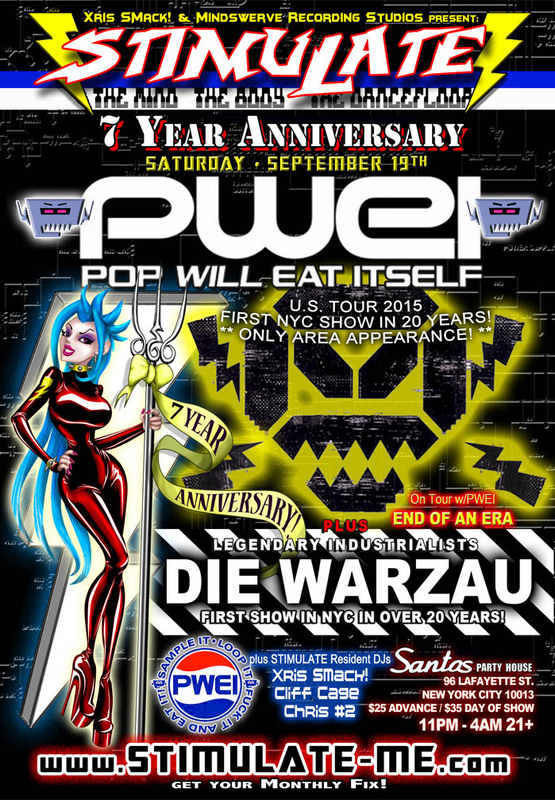 09/19/15 – STIMULATE 7 Year Anniversary w/POP WILL EAT ITSELF (PWEI) – first NYC show in 20 Years and ONLY AREA APPEARANCE! plus industrialists DIE WARZAU return to NYC after 20+ years! STIMULATE 7 Year Anniversary w/POP WILL EAT ITSELF (PWEI) - first NYC show in 20 Years and ONLY AREA APPEARANCE! plus industrialists DIE WARZAU return to NYC after 20+ years! STIMULATE celebrates our 7 Year Anniversary! return to NYC after 20+ years!